Nigel Cooper, a restauranteur living in Charleston, South Carolina and Buenos Aires, Argentina produces his wine, The Angel Oak, with his partners on his 10 acre Private Vineyards at The Vines. Nigel is making Cabernet Sauvignon, Malbec, Merlot, Syrah, and Torrontes, and bottled his first vintage in 2010. Husk is our Charleston, South Carolina restaurant that has been a top ranked location by Bon Appetit for the past two years, so our wines have to be top quality. 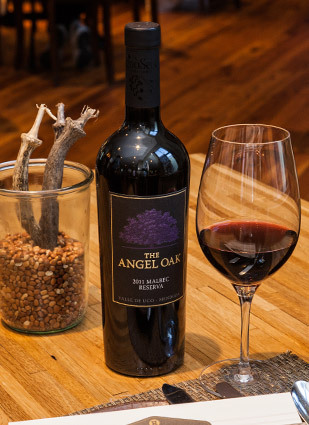 Angel Oak, our wine made at The Vines, has been extremely popular at Husk as well as McCrady’s, our other award winning restaurant. 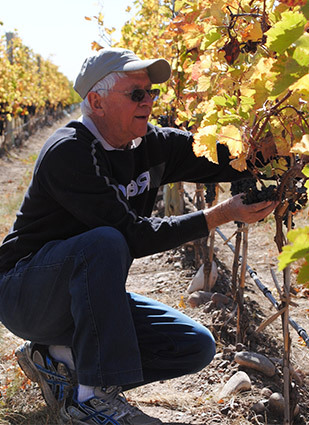 Emerson de Almeida, Founder and President of the Board of the prestigious Fundação Dom Cabral business school in Belo Horizonte, Brazil is producing Gracias a la Vida Malbec in The Vines of Mendoza’s Private Vineyards, with his first vintage in 2011. From the time I was a child and I heard of my grandfather producing his own wine, I dreamed of making my own wine, but I never thought this dream could be a reality. When I visited Mendoza, I found The Vines and was able to realize my dream in a location more beautiful than I thought possible. 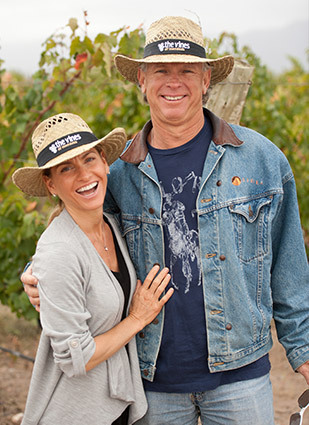 Jennifer Grayzar is a busy San Francisco doctor and passionate about wine. In her five acre Private Vineyard at The Vines she produces Media Luna Malbec and Sauvignon Blanc with a few friends. Their first vintage was bottled in 2012. With my professional and personal demands, I do not have time to think about how best to water my vineyard or when is the best time to harvest. And as much as I love Mendoza, sometimes a trip isn't realistic. Thankfully, I know The Vines takes care of everything for me so that I can produce my own quality Argentine wine with little demand on me. 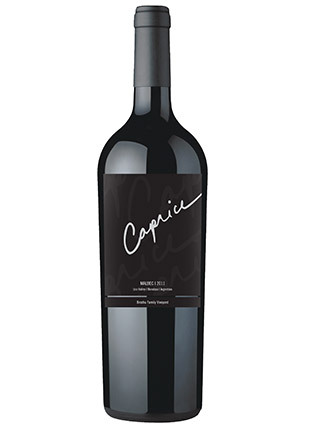 Mike and Caprice Brochu, living in Seattle, are producing Cabernet Franc, Malbec, Merlot, Tempranillo and Torrontes under the label named Caprice in their 15 acre lot at The Vines. The Brochus were one of the first Private Vineyard owners. 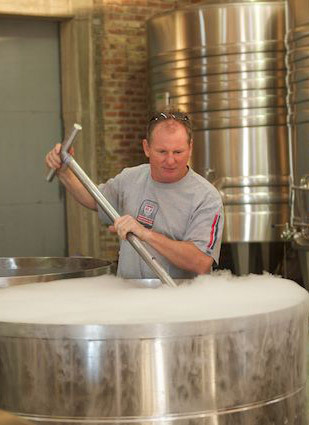 Our goal for winemaking is simple - to make the best wine possible. At The Vines we knew we could make wine from the same vineyard that produces wines that are among the top ranked by Wine Advocate. Who knew that along the way, we would also discover gorgeous wide open spaces and meet a fabulous team who have become our very good friends. 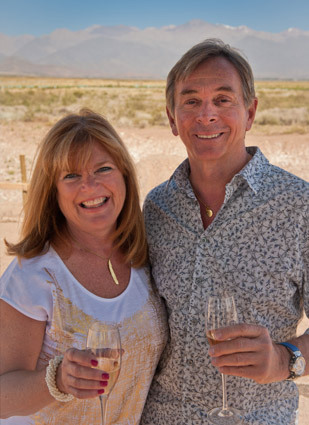 Noel and Terry Neelands are a dynamic couple from Toronto and Miami working in the construction and refrigeration industry – and also a partner in The Vines Resort & Spa. 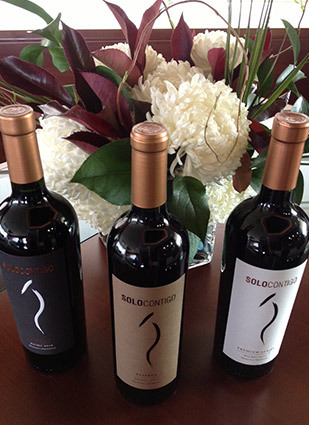 They are producing their own Cabernet Franc, Malbec, Merlot, Syrah, and Torrontes under the label Solo Contigo, with grapes grown in their 8 acre in The Vines of Mendoza’s Private Vineyards. Their first vintage was 2011. 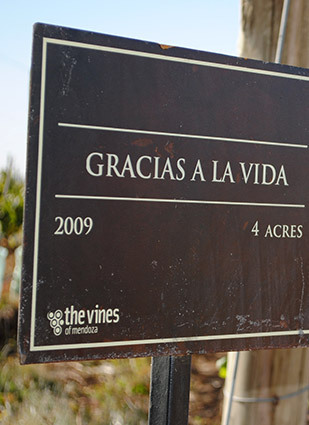 At The Vines, the team knows our goal is to make amazing wines in large quantities. Their knowledge, attention to detail, and their passion for wine, gives me confidence that I'm producing 100,000 bottles of highest quality Argentine wine to sell in our restaurants in Miami and Toronto. We're loving the results!